If you have read any of my Dragon Age: Redemption blogs, you know that the show was a challenge, and getting to the finish line was very trying. I am so honored to be able to write this entry now knowing that the effort was worth while, and people embraced and enjoyed the work we did. At the end of last year, I was nominated for two International Academy of Web Television Awards: Best Production Design, and Best Make-up FX for Dragon Age: Redemption. 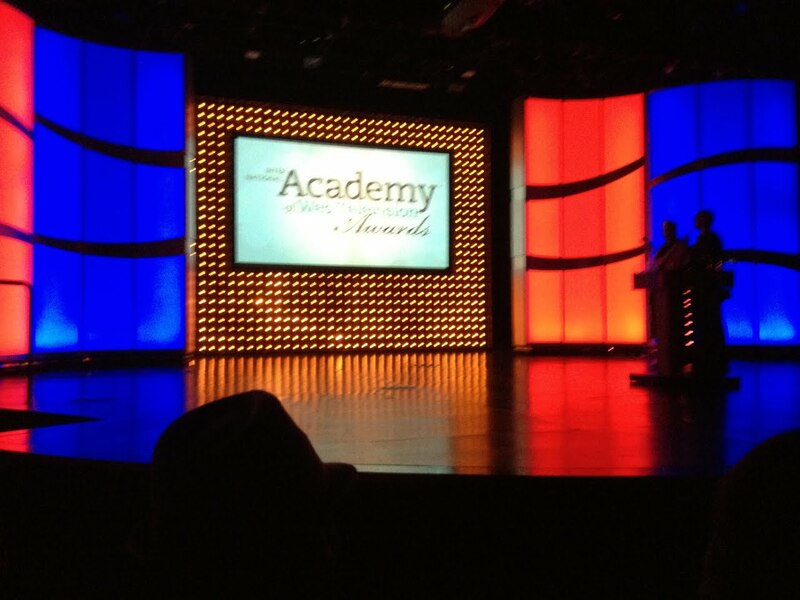 I was invited to the ceremony in Las Vegas last week, along with friends, co-workers, and fellow nominees from DA:R and The Guild. 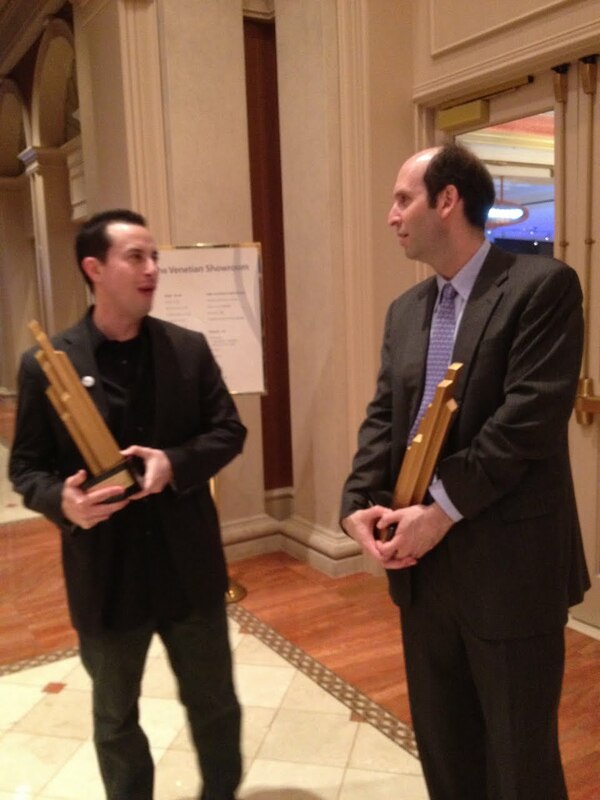 The awards were being held during CES, the largest consumer electronics show of the year. People were traveling into Vegas from all over the world for the event, which made it even that more exciting. Photo 2: I hitched a ride with Knights of Good associate Lindsey Koens. The awards didn't start until evening, but people got Lindsey paranoid that we would get stuck in massive traffic and miss the fun if we left too late, so she convinced me that we needed to leave by 6:30am! I talked her into 7:30, since I knew that it was going to be the longest day ever! Needless to say, the hour difference was irrelevant, as we arrived in Vegas around 11:30am, hours earlier than we needed to be! It was about this time we realized that our hotels wouldn't even let us check in until 2pm, so it was off to lunch! 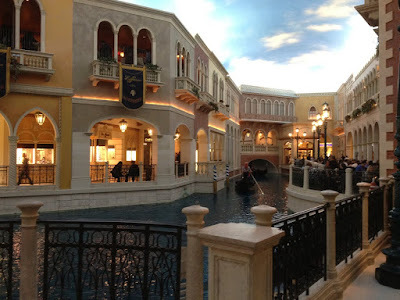 We ate in the Venetian, at a restaurant that overlooked the canals. 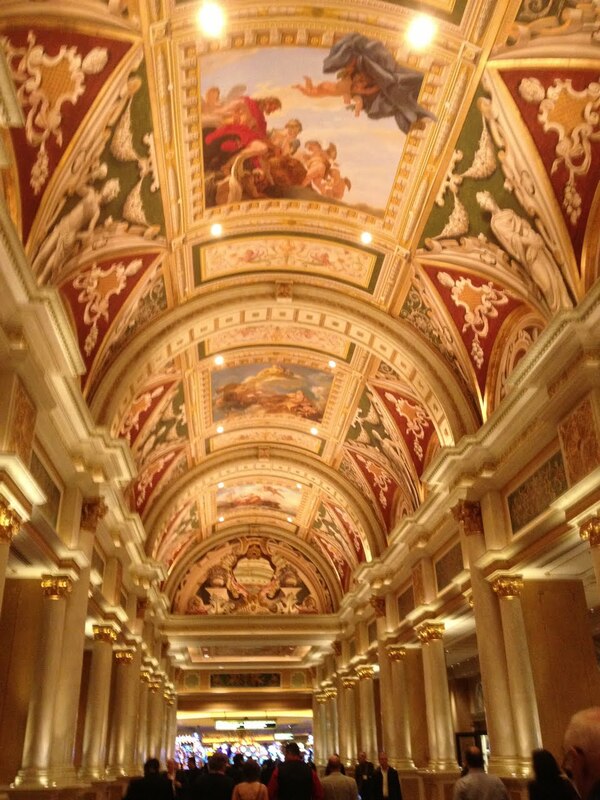 If you have never been to Vegas, it is both cheesy and miraculous at the same time. The above photo was taken inside the hotel. Like, literally INDOORS! 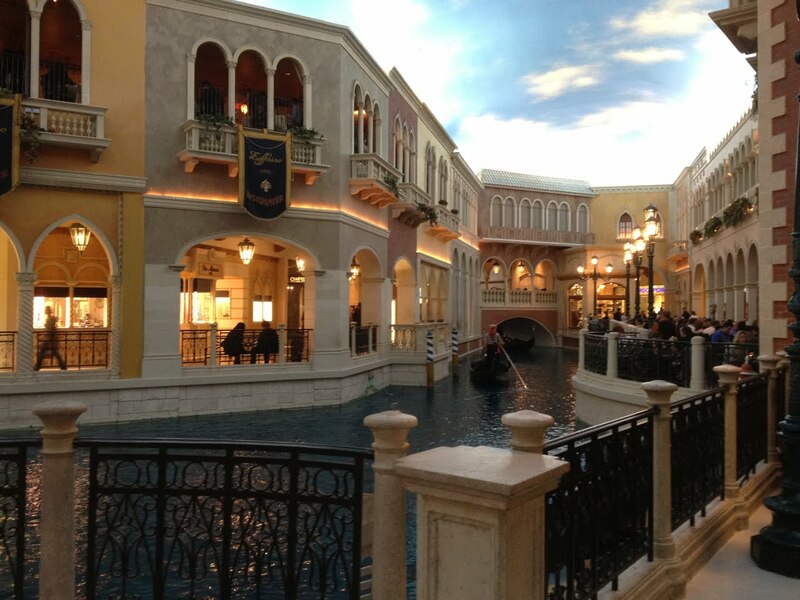 Everything is a fake replica of Venice, including the sky! 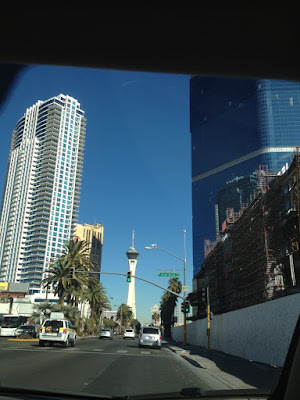 Photo 3: I don't drink or gamble, so I am not drawn to the obvious appeals of Vegas. But I have to say, every time I arrive there, I am in awe of the scope and grandeur that the city provides. I know it pales in comparison to all of the real structures they are emulating, but the effort is astounding. If you want to see hints of all the wonders of the world in a single weekend, Vegas is worth the trip. Plus, they have all you can eat prime rib for $15.99! 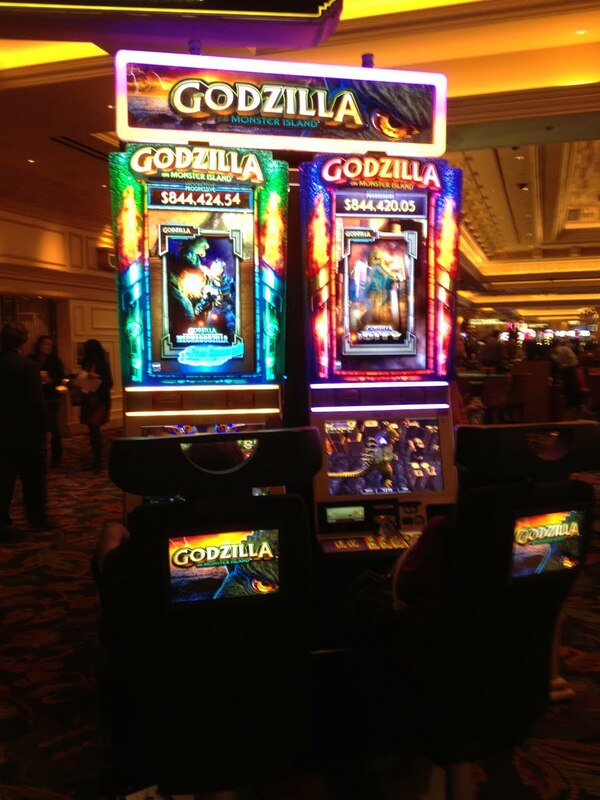 Photo 4: I guess some of the casino bosses started to finally take note of the rising geek culture! 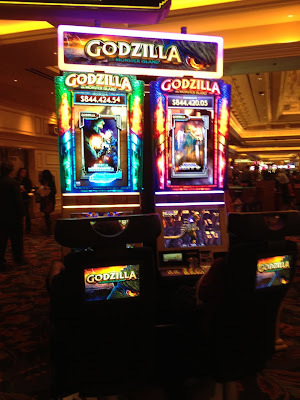 I was surprised to see the huge quantity of genre themed slot machines as I walked across the floor to get to my room. It was like Golden Apple Comics opened a casino! I saw Star Wars, BatMan, Terminator, James Bond, everywhere I looked was one of my favorite franchises begging me to drop quarters. I might have done it, too, if the jackpot yielded Micromachines or Legos! But I needed to get dressed for the show, so I only paused long enough to take this photo for my best friend, Sheri Bryant. She is a huge Godzilla fan, and someday she needs to have this one-armed bandit in her collection! Photo 5: Believe it or not, even with 2 nominations looming that night, the most nerve wrecking part of the whole event was getting dressed! The invitation asked for "cocktail attire", which I assumed meant a suit. I am not a suit person, but I felt the occasion commanded it. I wore a tie, which was highly uncomfortable to someone who spends every day in a Star Wars tshirt! I figured I didn't want to be too far out of character, so I accented with this T.I.E. clip. Get it!?! Cause it's a twin ion engine fighter clipped on my.... alllrighty, then. Photo 6: Award ceremonies are funny things. When you get nominated, you're like, "That's cool." The day gets closer, and people ask you about it, and you tend to not think about it much more than that. At least I try not to. Then you arrive, and with each passing moment, as you see stars on the red carpet, and tons of news reporters and photographers, it starts to sink in. And your stomach twists into knots. The possibility of winning becomes as terrifying as the more likely reality of losing. I definitely started getting nervous. Luckily, my wardrobe fears were put to rest when IAWTV award nominated Guild costume designer Kristen Ingram was impressed with my jacket. This photo may be the very moment she was saying it! Kristen is the best, and the costumes she created for The Guild season 5 blew me away! Photo 7: Another comforting factor was that so many friends were there. I got to hang out and catch up with everyone as we waited in line to be interviewed on the red carpet. Technically, it was a BLUE carpet, so if I start calling it that, you will know what I mean! Vu Bui and I reminisced about how it had only been a few short months since our last Vegas adventure, putting MineCon together. We were excited to both be wide awake this time around! 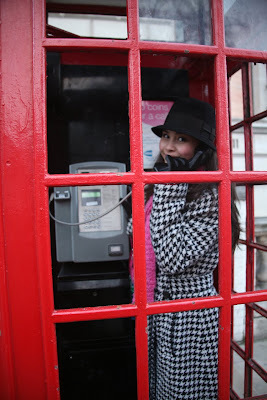 Actually, Vu took all of the pictures with me in them that I am posting in this blog. Except of course, for this one, since he's in it! Photo 8: His brother, Lan Bui, took that one! But now Vu is taking this picture since Lan is in it. And so am I. Get how this is working? Photo 9: After the Blue carpet run, we all went inside the theater to be seated. I sat next to Felicia Day and Jeff Lewis, which was a highlight of the evening. Jeff asked me if I had an acceptance speech prepared, and, honestly, I didn't! I'm always afraid that the more I focus on winning, the more it will hurt if I lose. It's not like sports, where winning or losing is based on your performance in that moment. I put all my effort into the show back when we were filming, and what's written in that envelope is based on peoples reaction to what I did at that time, and nothing I do at this current moment can change that. Oh, I think I'm gonna puke. Sorry, that was a tangent on what was running through my head after Jeff asked that question. Thanks, Jeff! 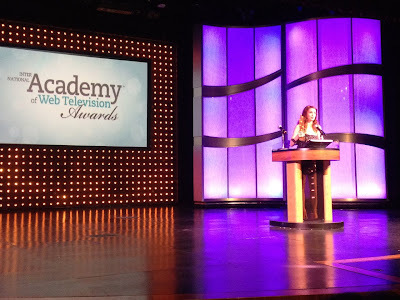 Photo 10: The IAWTV Awards are new, and this was the inaugural ceremony. 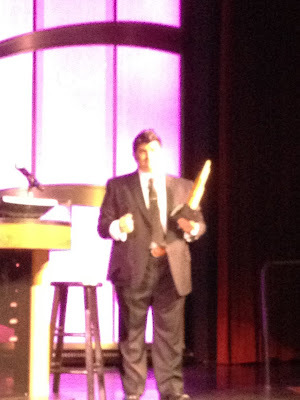 The Chairman of the Academy took the stage to present the brand new, never before seen award. He warned us that it was extremely heavy, and should only be held by the bottom. The relevance of this was not understood until you actually attempted to hold one! Even with the warning, recipients were shocked at the weight all night as they pulled it from the podium. He also informed us that the award currently had no name. In hopes that the IAWTV awards some day join the ranks of the Oscars, the Emmys, the Tonys, the Golden Globes, and so many other prestigious statues, he encouraged us to tweet suggestions. I'm not sure if this is still open, but if you have a good idea, send it there way! Photo 11: The awards ceremony went very smoothly, and they kept things moving at a very fast pace. The live audience was shown an introduction video that asked winners to keep their acceptance speech as brief as possible. 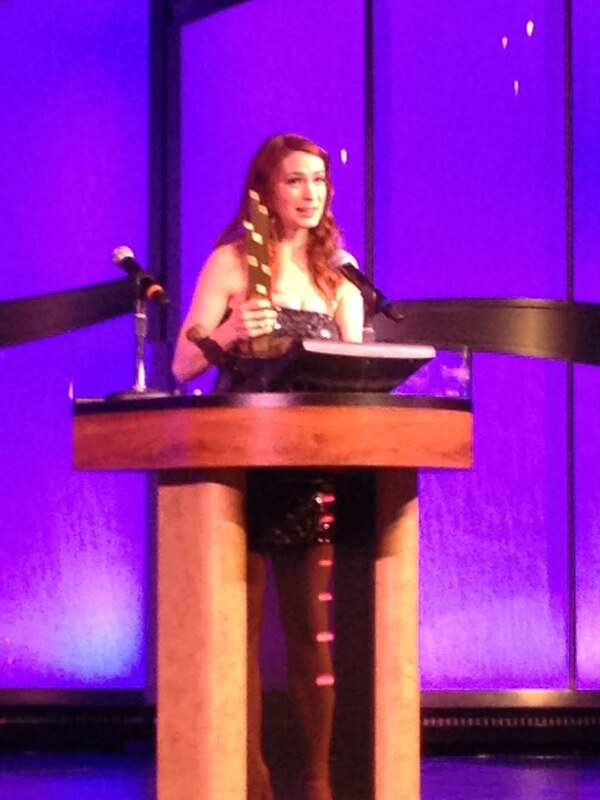 No one is as much of a pro as Felicia as she accepted her first award for Best Writing. She makes it look so effortless! Photo 12: Of course, she gets a lot of practice! Here, Felicia accepts her second award, this one for best Female Performance in a Comedy Series. Photo 13: And...her third acceptance speech. This time it was for the Guild's web design. At one point, Felicia actually got played off mid-speech! The show technicians raised the music as a cue for her to wrap it up as she thanked everyone involved, and she joked about it. She also joked that everyone was probably sick of her by the third award, but apparently, the Internet cannot get enough Felicia Day! I am very lucky to be involved in the work of such an amazing and talented person as Felicia. I'm sure many feel that she has won so often based on popularity, but I cannot stress enough how authentic Felicia is. Her ideas have transformed the industry, her scripts are the rock solid basis for the show loved by millions, her work ethic is uncompromising, and the team she has assembled is made of the most talented, most kind hearted people I have ever worked with. When I see Felicia accepting awards, I don't view it as accolades for a single accomplishment, but rather for what she is doing for entertainment as a whole. All my life, I have dreamed of "a better way", and I feel like she is paving the road towards it. Photo 14: Finally, the block of categories came up that included Best Production design. As they showed clips from all the nominated shows, the butterflies in my stomach got more and more chaotic. It was like the battle around the second Death Star in there. I just kept reminding myself that, win or lose, all that matters is that I was there. But then they announced Dragon Age: Redemption as the winner, and my head spun. Jeff Lewis gave me a hearty pat on the back, and Felicia gave me a big hug. As I approached the stage, the realization that I had NOT prepared any kind of a speech really hit home. Photo 15: It's amazing how many thoughts can run through your mind in a few short seconds. it felt like I was standing in front of that podium for an eternity before I could even speak. My biggest fear was rambling and getting played off, so I made the conscious decision to keep it short. But what to say in my "short" speech!?! I had to pick through all the topics in my head, and try to link them together in a way that made sense. As I was speaking, it didn't sound very coherent to me, but I must have been on autopilot, because I was later assured that it made perfect sense! There were so many things that I wanted to talk about. Things that made winning the awards so important to me. I wanted to talk about the hardships of trying to create what we created for the little time and money we had. I wanted to give examples of the intense commitment my crew gave to the project. I wanted to site all the times people said that what we were trying to do was "impossible", and how I felt that this award proved that wrong. But it all seemed like too many words, and things that every nominee in the theater had also experienced. I wish I could have said something profound, but, I choked! The single most focused thought I had was how grateful I was to have this opportunity, and it made perfect sense to thank the people who gave it to me. I thanked Felicia and Kim Evey for letting me helm the project, and even more so for letting me do what pretty much freaked everyone else out: take control of multiple departments, and be responsible for almost all of the show's physical visual aspects. In essence, Kim and Felicia took the risk of putting all of their eggs into MY basket! It was a task I waited a lifetime to achieve, and I am forever in their debt for allowing me to go for it. I thanked BioWare for giving me such amazing source material. I wanted to talk about the concept of being a designer for a project based on an franchise like Dragon Age. I've mentioned this before, that as Production Designer, my goal was more to honor the existing designs than to reinvent them. The challenge, in my mind, was that there was no flexibility. A Templar sword in the show had to look exactly like a Templar sword in the game, with no exceptions. The work they did at BioWare was so perfect, we needed to bring it to life in its perfect form. So the term design is very interpretive in this instance. I also thanked my crew. I started naming them, but realized that the list was way too long. I also realized that thinking about all the tireless hours they put into the project to get me up on that stage was about to make me cry. I accepted the award, but the reality of it is THEY are all the winners. Be sure to see the Dragon Age: Redemption blog posts to see how much work everyone did. I wish I had taken the chance to thank Brian Kameoka, who created a network to find all the volunteers who made up the DA:R art department. So many of them had never worked on a film project before, but their passion and dedication broke all limitations of experience and helped form a team that could accomplish anything. Photo 16: After I recieved the award (which was REALLY very heavy!!!) I exited the stage, and was taken back to the blue carpet for photos and an interview. I have to say, it felt very different to be on the carpet this time. After that, I was brought back into the theater. It was a total relief to sit down, and Felicia was smiling ear to ear, which made me very happy. But then I remembered that I had another nomination, and this time, the pressure doubled. What were the chances that I would win again? And what did that say about my skills if I didn't? Would losing validate everyone that said I shouldn't helm multiple departments? Why I'm telling you all this is beyond me, I'm just being honest. I assure you it wasn't ego whispering in my ear, it was shear terror! Another factor that made me nervous was the other nominees, of course! There was so much talent represented at the show, and ironically, my Make-up FX nomination for DA:R was shared by one of the competeing nominees! Kim Graczyk was nominated twice in the same category: for DA:R MUFX with me, and her own nomination for The Guild Make-up. 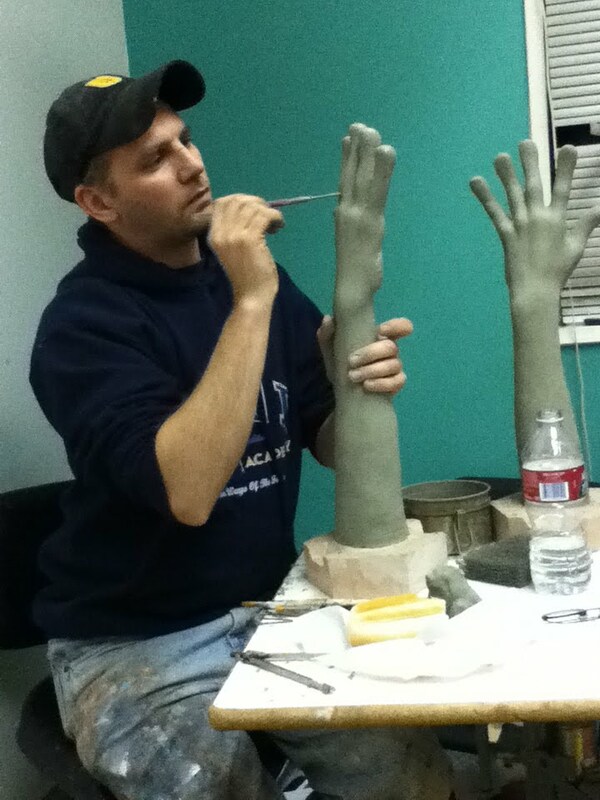 If you haven't seen the Guild season 5, check it out and pay close attention to Kim's work. Zaboo's butterfly make-up alone had me nervous that I could lose the award to my own teammate. It plays tricks on the mind! Thankfully, Kim and I both won for DA:R, and it was very exciting to get to go back on stage. I will admit that I felt a little more relaxed this time, with anticipation removed from the equation. It also helped that my friends, Team Unicorn's Michelle Boyd and Clare Grant, looking gorgeous as ever, presented us with the award. I was still worried about the speech time allowed, so I thought it was only fair to give the stage to Kim. It was moving to see her fight back tears as she thanked everyone. I was so glad that we won together. In all honesty, I thought Kim hated me by the time we were done with DA:R! Like I said, it was a very ambitious, stressful show. But being on that stage together put everything in perspective, and made it all worth it! I did take a moment to thank actor Doug Jones. His portrayal of the Qunari mage Saaribas really brought my make-up to life. When working on projects like DA:R, it's important to keep in mind that the FX we are creating are merely a tool, and it will always be the story and the characters that the audience connects with. The best make-up FX ever made will still not be convincing if the actor wearing it does not deliver a believable performance. I was honored and privileged to have Doug as my canvas, and I truly believe that when the Academy was voting for this make-up, it was Doug they were awarding! Thank you again, Doug Jones! You are the BEST!!! Photo 17: The rest of the night was very exciting, now that I was on cloud 9! I was the academy's first repeat winner (Felicia's multi-wins were after, but I blogged out of order for dramatic effect. Oh, Hollywood!!!) and so many of the other winners were my dearest, closest friends. It made the night very special. And entertaining. Felicia and I noticed that Jeff Lewis had been missing from his seat since he accepted his award for Best Male Comedy Performance. He was gone way longer than everyone else had been. But then he appeared on stage to present with Taryn Southern, and hilarity ensued. 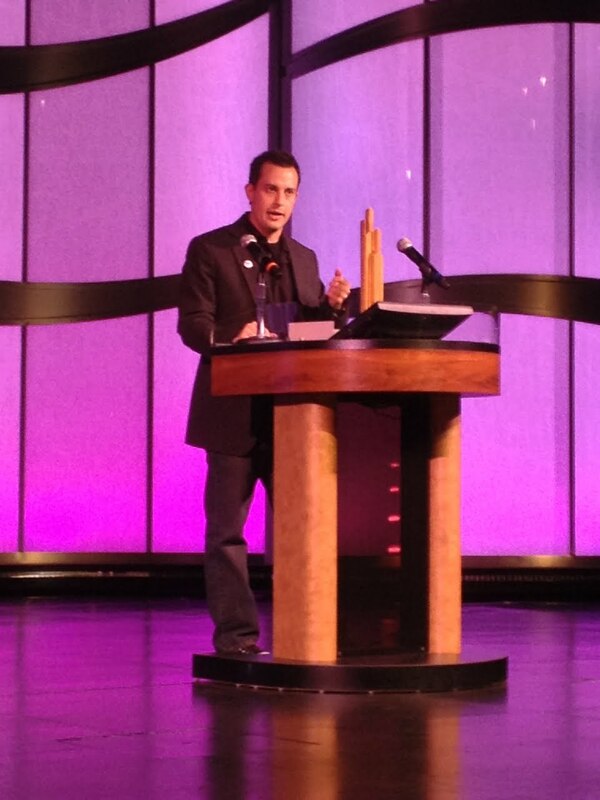 Photo 18: For me, the most moving acceptance speech of the night was by Sean Becker, for his Best Director win. Sean had been nominated twice in the same category: Best Directory for a comedy series, for both The Guild and The Jeff Lewis 5 Minute Comedy Hour. He snagged the award for The Guild, and in addition to thanking everyone involved with the project, he appealed to members of the audience, and home viewers via the live stream, to support his fellow nominees in their goal of making the internet the next evolution of entertainment. He stated that pursuing this career meant that there were endless hours, unscheduled work flow, and often little or no pay that usually put strains on relationships, family, friends, and loved ones alike. He asked for everyone's patience and understanding as we all work our way through the uncharted labyrinth that is web television, and he thanked everyone for helping him, and all of us, get this far. Photo 19: The ceremony ended with the final block of awards, Best Drama and Best Comedy series on the web. It was not a surprise to me that The Guild won, but it WAS very surprising that my hand was grabbed and I was whisked up on the stage to join in on accepting the award. Kim and Felicia thanked as many people as possible for their help in keeping The Guild going, and there are SOOOOO many of them. Felicia always says that internet entertainment is like a family, and we need to stick together and support each other. Standing up on that stage, it did indeed feel like family. Photo 20: Another big win for The Knights of Good was Shawna Trpcic's Best Costume Design for Dragon Age: Redemption. Shawna is awesome, and I can't wait to work with her again! Photo 21: The best part of the night was getting to celebrate with my favorite people in the whole world. There is no greater reward that having friends believe in you, and I am glad that their trust in me paid off! Photo 22: I cannot express the awe and respect I have for these guys. I hope they know that I will always be willing to help out with anything they do, as their vision and style make very thing we do together a joy. There was no doubt that they deserve these awards, and the fact that they BOTH were nominated twice in their respective categories says a lot about their influence on the internet. Photo 23: Think of any names for the award yet? Here's a closer look at mine and Shawna's design awards. 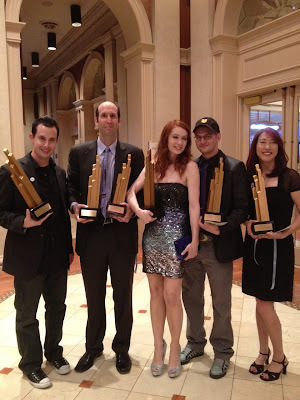 Collectively, Team Knights of Good won 8 out of 13 category nominations, and Jeff Lewis's adds a 9th. Sean Becker joked that we should connect all our awards to build a Fortress of Solitude! Photo 24: After the ceremony, there was a cocktail party in the adjacent ball room. We all socialized and networked for a while, but then people split up into multiple dinner parties. I went to a fancy dinner with Vu and Lan Bui at some restaurant that had Ferraris and Lamborghinis in it! 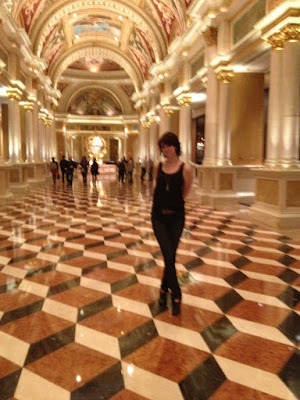 Then I met up with Kim, Felicia, Brian, and the gang at Wolfgang Pucks in the Venetian Hotel. 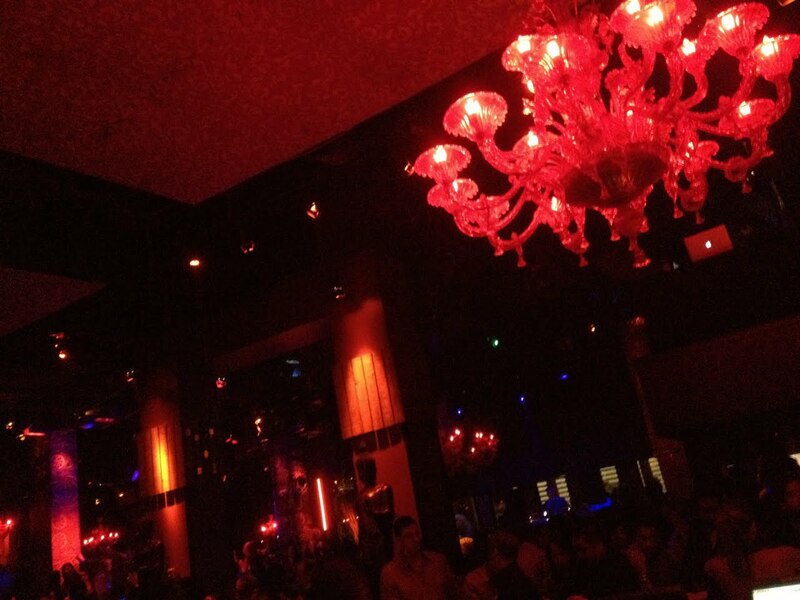 Later, a smaller group of us broke off to go to the club Tao. I joined Sean, Becca, Lan, Kristin, and pictured, Michelle, Clare, and yes, that is super agent George Ruiz photo bombing in the background. 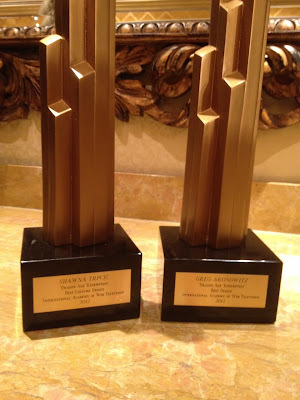 George represents the winners of 12 IAWTV awards! Photo 25: The club was packed! Even for a Thursday night! 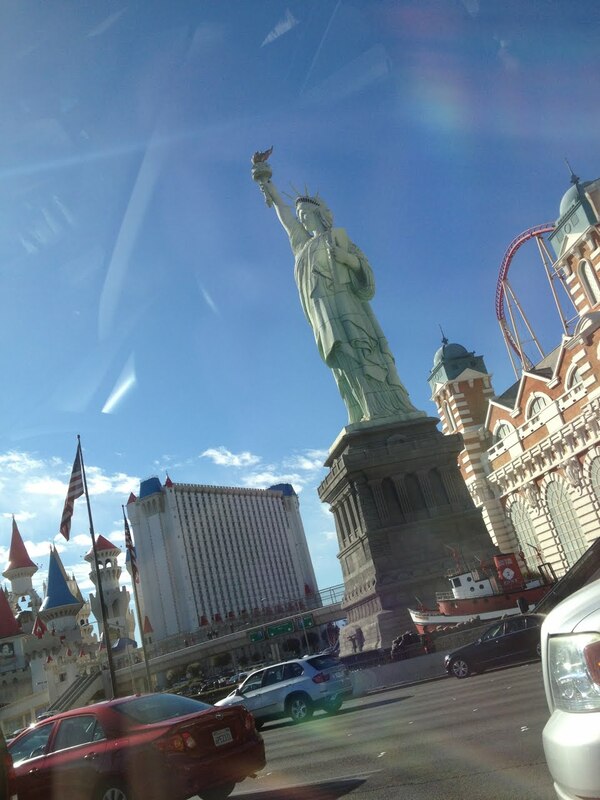 It was huge and glamorous, like all things Las Vegas. They told me I couldn't wear my Knights of Good baseball cap. But apparently you could wear a fedora. The reason? Baseball caps are gang related! But smooth criminals are ok? 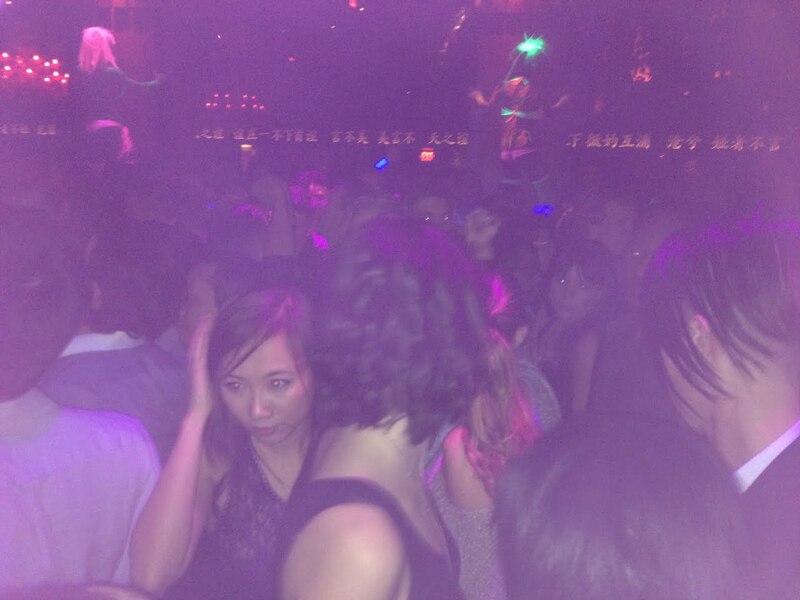 Photo 26: We made our way to the dance floor, which was shoulder to shoulder. It was fun for a while, but keep in mind that I had my 20 pound award with me the entire time!!! I wasn't trying to be a show-off, I just really had no place to put it! After toting it around for 6 hours, I could barely feel my arms!!! 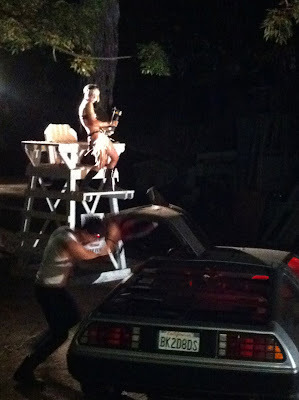 Photo 27: Sean tweeted this photo with the caption, "Tonite on OUT OF OUR ELEMENT!" No truer words, my friend! 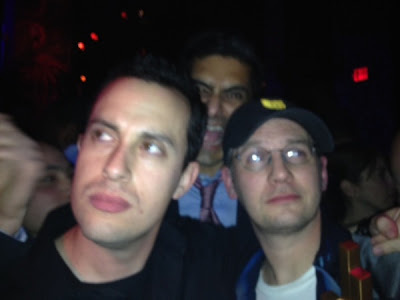 And yes, that is again super agent George Ruiz photo bombing. 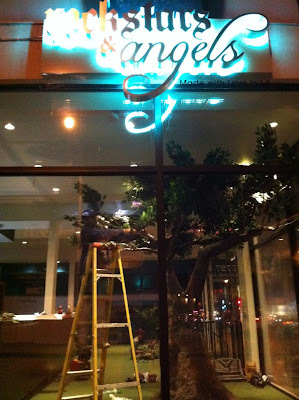 Photo 28: After a few hours of elbows to the spine, we decided to call it a night. Apparently we closed the place down, as the hotel was pretty empty on the walk out. With the amazing architecture uncrowded, it was much more obvious that Michelle was almost as tall as the columns! All in all, it was the perfect night. The biggest downside was everyone who WASN"T there! Sandeep Parikh, Amy Okuda, Robin Thorsen, Vince Caso, Rileah Vanderbilt, and Milynn Sarley were seriously missed throughout the event. Photo 30: But I think we left off on a pretty good note. Congratulations to all of my fellow Knights of Good, The Guild, Dragon Age: Redemption and IAWTV award winners and nominees. And thank you for an amazing night. The first thing I did when I got back to LA was make space for my awards on the mantle of the fireplace in my display room. Standing back to view them, it became strikingly clear that said mantle was packed to the hilt with props and mementos from ONLY internet shows I have worked on. This shrine includes The Guild, Legend of Neil, Dragon Age: Redemption, and other web based trophies. Traditionally, the house mantle is home to the most treasured of showpieces. 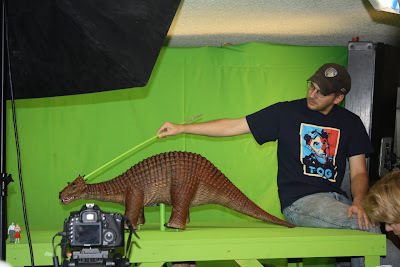 It was interesting to me that these props have found their way there over ones I have created for such Hollywood staples as Terminator 2 or Jurassic Park: Lost World. I think it is because, as hugely successful as the blockbuster movies are, I have found my participation in these interweb shows, to me, the most satisfying experiences of my career. I think this is because the web offers a direct conduit from us to you. It is pure. And it is ours. Duh. I probably should have said that while I was at the podium! Photo 1: A year ago, everybody here was working 7 days a week, pulling an inhuman number of all-nighters getting ready for our upcoming productions. We needed a break. Marissa Cuevas's 18th birthday was the perfect excuse to have the party of the century! You only get to turn 18 once, so I tried to make it a party worth remembering. And, trust me, no one will soon forget! We had rollerskating, laser tag, Disney princess. We also had broken bones and concussions! It was legendary. Ginny McQueen made these pterodactyl PJs for Marissa though, so birthday wishes were a success. Photo 2: Since neither Marissa nor I actually broke any bones at the party, we spent Christmas in London. 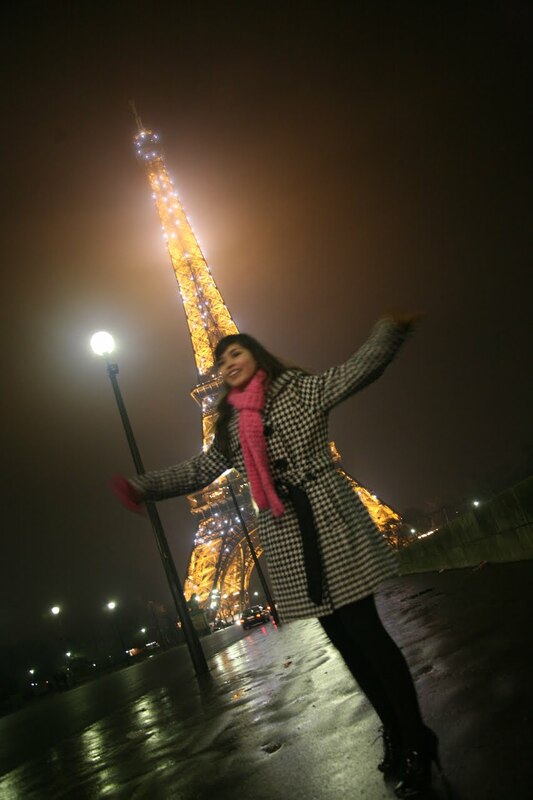 Photo 3: And New Years in Paris! Photo 4: It was a great holiday, but I had to get back to work straight away! Dragon Age: Redemption, filmed under the code name "DAGGERS", was only a week from shooting, and there was still lots to be done. Photo 5: Felicia Day came to me with a bare bones outline of the project when she first began writing so I could start figuring out how to bring BioWare's fantasy world to reality. It was a dream project, and I begged her to let me helm all of the physical visual aspects. I designed the sets, props, make-up effects, and Felicia's Tallis costume. 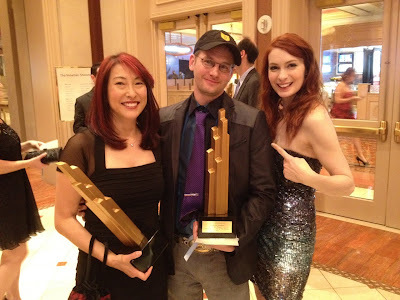 I am honored to have been nominated for two IAWTV Awards for DA:R, Best Production Design, and Best Make-up Effects. Photo 6: I worked with Sandeep Parikh on a Super Bowl commercial. I built this dinosaur puppet, and he directed the sequence. 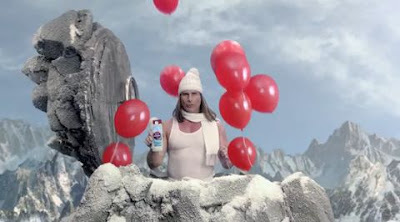 If you watched the game, you saw the commercial, but not the dino! The additional sequence was ultimately cut from the spot. 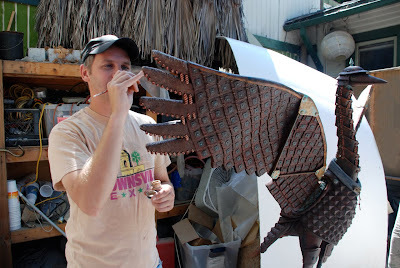 Photo 7: I made a bunch of random small hand props last year, too. For some reason I always get the snow globe jobs, like this prop for an episode of Happy Endings . Photo 8: And because no year is complete without an 8-bit project, I painted the Tempest Free Running Academy to look like Mario World. Photo 9: The thing I love the most about my job is the diversity. One minute I'm painting a gym for real life Spider-men, and the next I building a full size tree for a permanent installation in a Melrose store window. Photo 10: I LOVED Voltron - Defender of the Universe as a kid. Apparently, so did Alex Albrecht. 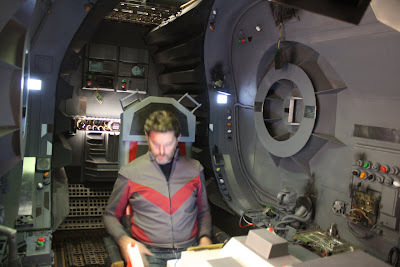 I designed Alex's directing debut in 2010, and I was ecstatic when he asked me to realize the interior cockpit of the Red Lion for his second film. Photo 11: After we filmed the live action interior, I created a miniature of the exterior Red Lion with Kevin "Amish" Ivers. I'm ready to build the other four lions any time you are, Alex! 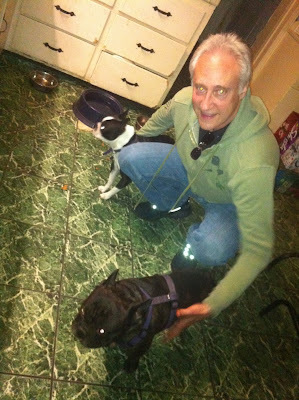 Photo 12: There was only about two weeks time between wrapping DA:R and going into full prep on Rock Jocks, a sci-fi comedy I produced with my Dog & Rooster Productions partner, Sheri Bryant. I did the production design and make-up effects on this one, too. Yeah, I'm a glutton for punishment. 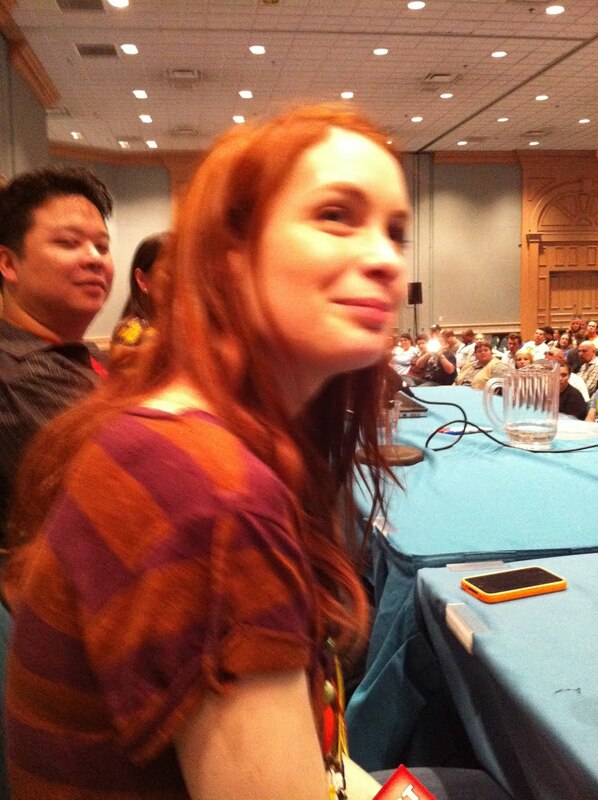 As is my friend Felicia Day! She came along for the ride, joining cast members Jason Mewes , Andrew Bowen, Jerry Bedknob , Justin Chon , and KevJumba. Photo 13: Random Rock Jocks prop: Space Shuttle bong! If it makes you laugh now, wait till you see the movie! 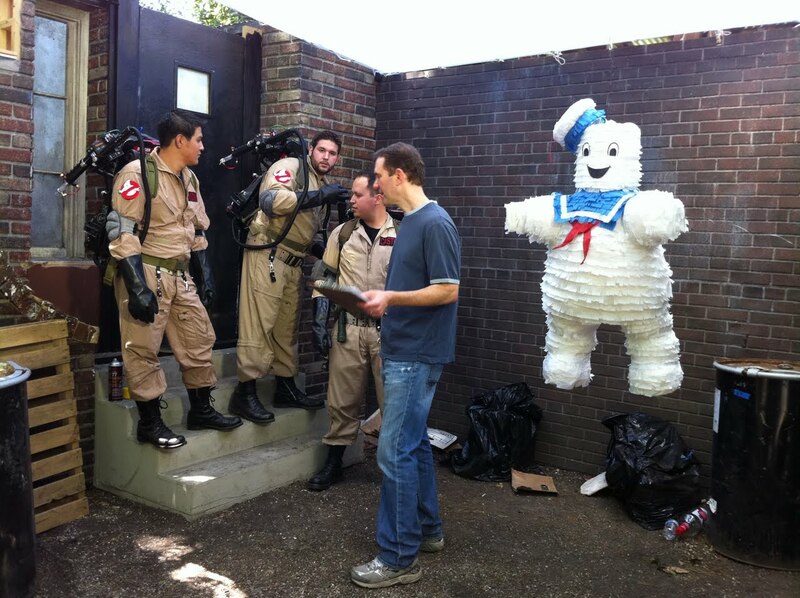 Photo 14: This is kind of a secret, but Doug Jones joined the cast, making this the second project we worked on together for 2011. And it was only March! Photo 15: I don't get a lot of time to paint for fun, but when things are stressful, painting sooths me. I had just finished the first milestone of a HUGE project, as lead designer on a Michael Jackson MMO, and I needed a break. 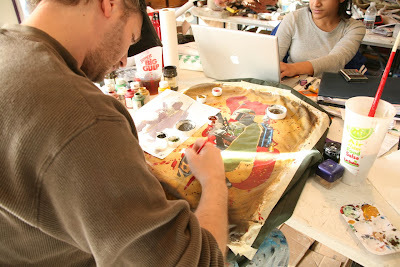 It was director Sean Becker's birthday, so I decided to paint him a Boba Fett jacket. The gift was a big hit. The MJ MMO ultimately shut down, and sadly I cannot show any of the great stuff we created. Maybe next time! Photo 16: I am an artist. This statement might not surprise you, but it is something I used to be uncomfortable saying! Maybe it was my Jersey upbringing, were I was always told I that if I wanted to "be an artist", I needed a "serious back-up plan" so I could actually have a career. It's safe to say, now, that I don't really have any other place in society but to be an artist. But in my mind there were still certain landmarks I need to achieve to be a "real" artist. 2011 brought me to achieve one of those goals with my very first museum exhibition. Photo 17: The exhibit is called, "They Can't Protect Themselves." It's a collection of pieces I designed and created to support the SurfRider Foundation. I made suits of armor for endangered marine animals. The idea is that, for every environmental hazard that man creates, we devise a way to protect ourselves from it. Imagine a world where animals could do the same. The collection is travelling around the country to help raise awareness for the need to protect our ocean environments. They printed these giant posters of each of my sculptures to post around the cities on the tour, and seeing those was the first time I actually felt, well, like an artist! The show is prepping for a full run, and you can find out were it is going at oceanarmor.org if you would like to see them in person! 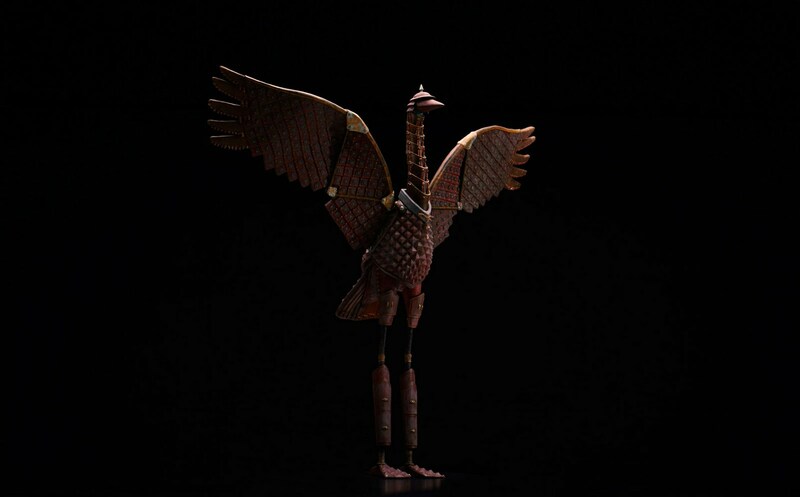 Photo 18: It took months to create all of the armored animals, but not every project has the luxury of time! 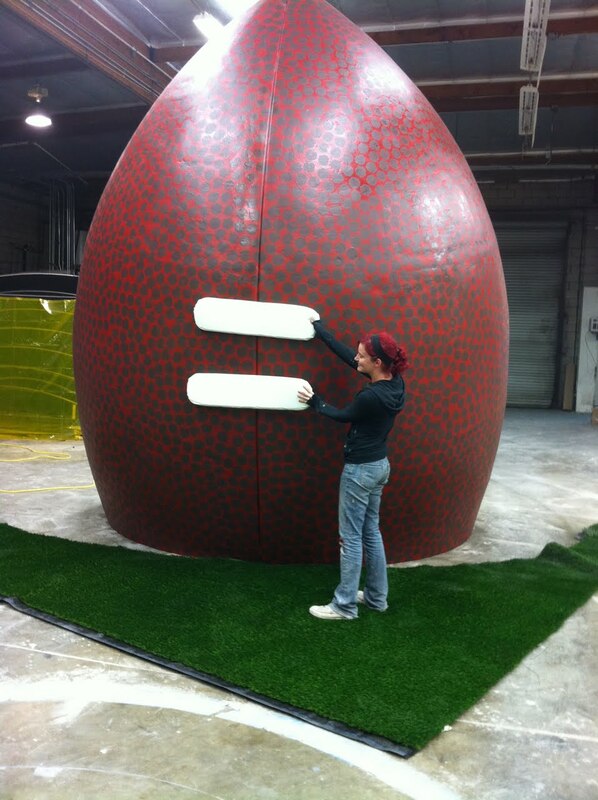 My team had to finish this giant football in 2 days for the "Hall of Game" awards show on Cartoon Network. Red 5 swore that she never wanted to see Bondo again! Photo 20: And the Season 5 cameos! Nathan Fillion , Grant Imahara, Bonnie Burton , Dichen Lachman , Erin Gray, Doug Jones (of course! Project #3), too many favorites to mention them all. It was a thrill to work with each of them, but without a doubt, the highlight for me was filming Stan Lee's cameo AT the BarnYard. My art career started by studying the drawings in How To Draw Comics The Marvel Way before I could even read, so to have the man himself standing in my studio was beyond words. Stan even signed my original sculpture for the Legends in 3D Spiderman, which he had once called his "favorite sculpture of the web-crawler!" Photo 21: Other iconic personalities I worked with last year included Fabio for his Old Spice commercial series. I carved the mountain that he climbs out of! 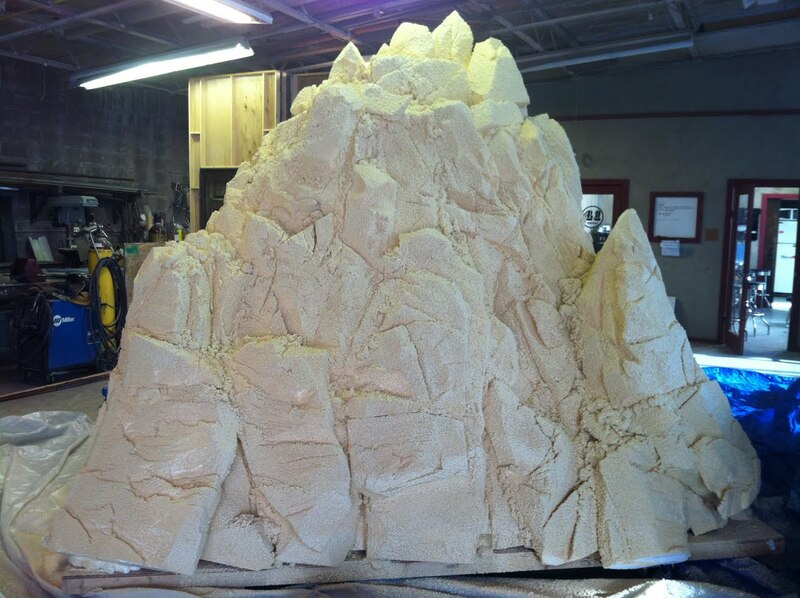 Photo 22: You barely see it in the commercial, but the art director had requested a ten foot tall mountain! 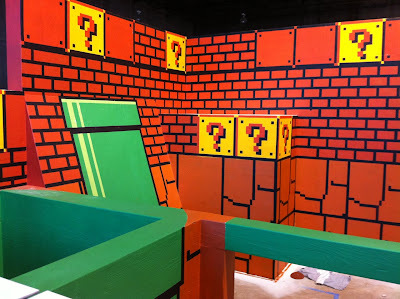 41 Sets built a steel frame and covered it in rigid foam. I was brought in to carve it into a realistic rock. The scale changed a few times in the process, from being a whole mountain that Fabio would pop out of like a giant, to merely being an actual sized rock he was hiding in. The rigid foam ended up being TOO rigid, and I had to recruit the use of a chainsaw in order to carve in enough texture fast enough to get the finished product to set. Photo 23: I'm kind of going in order of the year, so this brings us to about May. Happy Cinco de Mayo! Greg Benson of Mediocre Films made a few movie parody commecials to celebrate the holiday, and asked me to help out. We put together this New York alley set at the BarnYard, and I got to make this awesome Stay Puft Marshmellow Man pinata, which ranks up there as one of my favorite props ever! 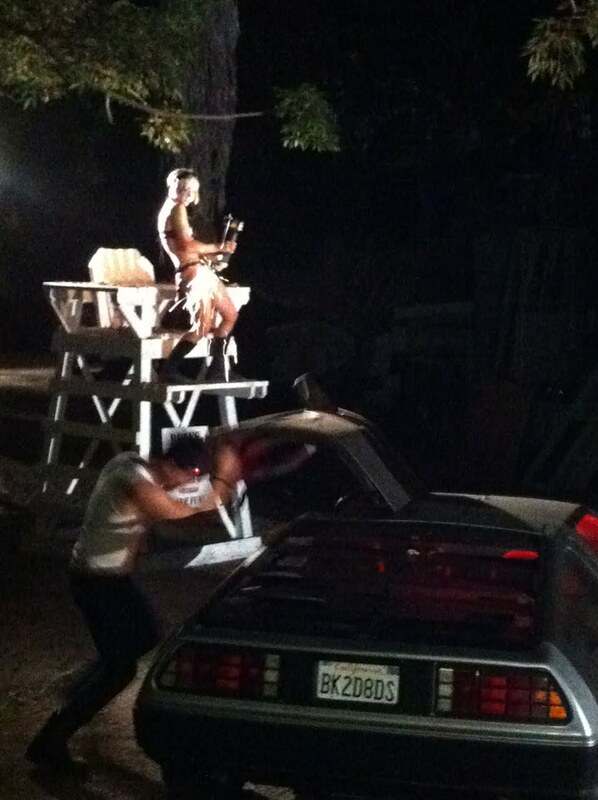 Photo 24: The other spot was inspired by Back to the Future, where Marty gets the Delorean up to 88MPH to send a pinata, well, back to the future! Naturally, it was a perfect excuse for me to drive my car as fast as possible. Unfortunately, I had to act, too. Put it this way: if you had to chose between having me act or making a pinata, you would want the pinata! Photo 25: Of course, there are certain occasions where bad acting is acceptable, like my portrayal of the cheesy 50's alien for Team Unicorn's "Alien Beach Crashers!" 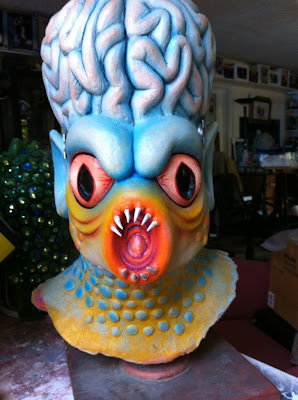 I made this mask as a tribute to all the crazy creatures I love from the silver age of Hollywood Sci-Fi. Photo 26: The Unicorns mashed up the 50s and 60s for ABC. 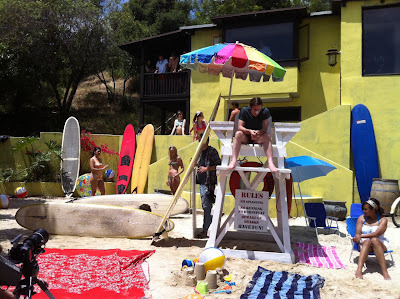 The sci-fi factor was very The Day the Earth Stood Still , and the summer aspect was very "Beach Blanket Bingo". The first order of business, of course, was to find a filmable beach! We were self-funded, so the state and private beaches were way too pricey. I proposed building a beach! What you see in this video is actually Clare Grant's under-construction house in the Hollywood hills that I painted and decorated to look like a beach house. We got a few tons of construction grade sand dumped onto the driveway, and after a day of weeding and raking, we had a beach! Photo 27: This piece only took a few hours, so I don't really consider it a "project". But as I went through my photos, it jumped out at me, so I thought I would share. 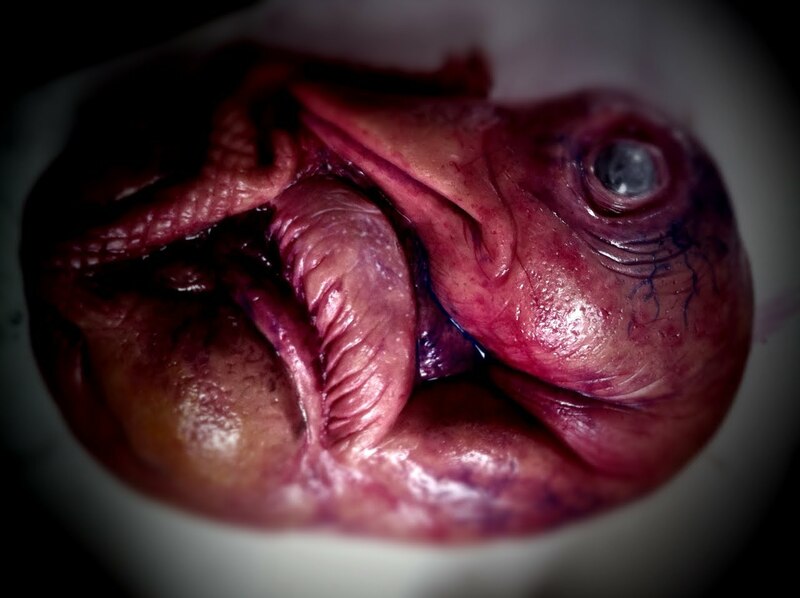 My buddy Zack Ward made his directing debut last year, and he needed an oversized chicken embryo for the opening titles. I had no choice but to do it in fear of Zack sticking my tongue to a frozen metal pole! Photo 28: On a much more pleasant note, things were much more cheery on the set of HUSBANDS. This wonderful web series was created by Cheeks and Jane Espenson, who is one of my writing idols. It was great to be on set and watch her process. 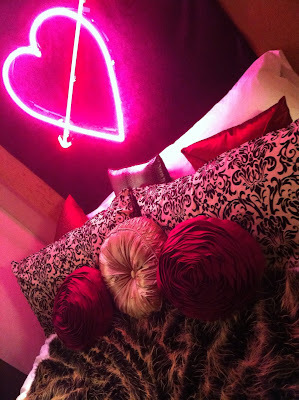 It was also a refreshing to dress existing places with surreal items, but not have to really build anything crazy! If you haven't seen this show, go watch it now. It's really just perfect. 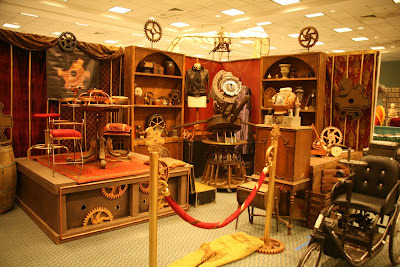 Photo 29: I wanted the steampunk booth in The Guild Season 5 to be spectacular, but, as usual, we were extreamely short on time AND funds. Luckily, Shawn Stryder and the gang from Labrynth of Jareth costume ball had plenty of incredible steampunk fixtures to loan me as a favor. In return, I repaid them with my sculpting services and created this rather large dragon head for one of the stage shows during the annual ball. Hopefully they will let me elaborate on the creature this year! Photo 30: The most amazing costumes at LOJ were those of Team Unicorn! Rileah Vanderbilt, Milynn Sarley, Michelle Boyd, and Clare Grant are cosplay aficionados. I helped them out with a few projects last year, including their appearance as the Night Sisters for the Lucasfilm Clone Wars panel at San Diego Comicon. I made the laser bows and blades based off of top secret drawings from Skywalker Ranch. It kind of made my comicon! 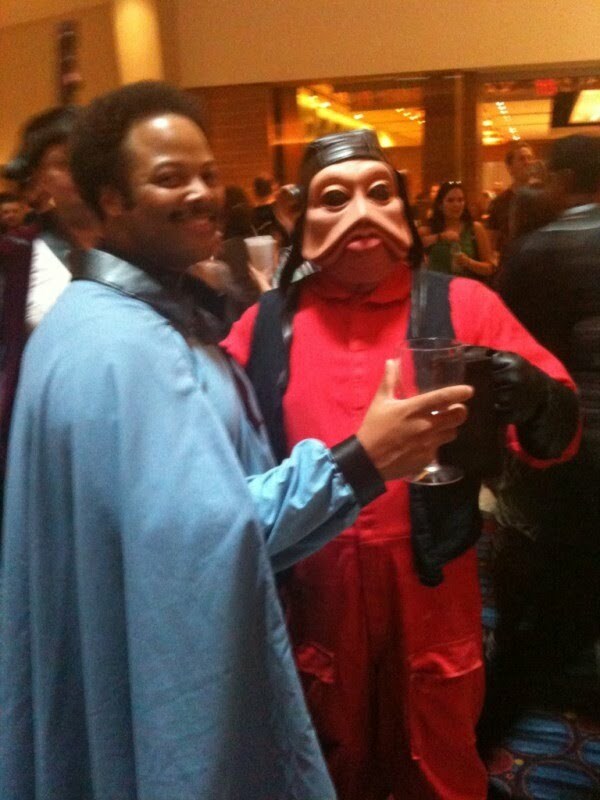 Photo 31: That wasn't the only Star Wars cosplay I helped with for that con. I made Brian Kameoka's Nien Nunb head. It's a fiberglass shell with a foam latex lower lip, and tinted eyes. Bryan loved it so much he never broke character for the entire weekend. Give the man respect, he DID blow up a Death Star, after all! Photo 32: The cosplay list was long for San Diego last year. I ordinarily never have time to help people with costumes, but so many of my friends had great ideas last summer, and they all do so much for me, I was happy to squeeze the projects in. Kenny Mittleider is a perfect example. This blog wouldn't exist without him! Making him Hobbit feet for his dream cosplay was the least I could do! Photo 33: Combining the multiple projects I had going for work with all the side projects for comicon had me pretty worn out by the time I got to San Diego. But once I got there, the party mode kicked in! I went crazy with Justin and Kev. We drank caffeinated colas and stayed out till like 10:30pm! 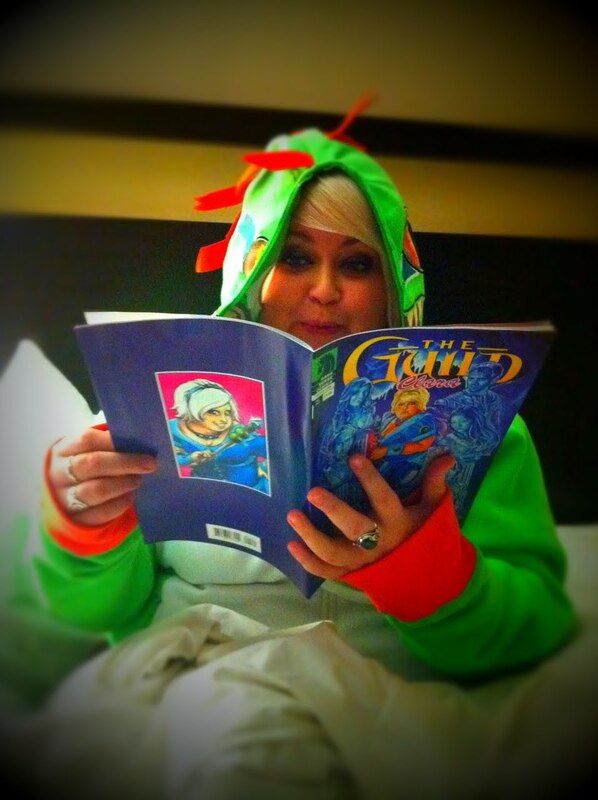 Photo 34: After comicon, things got serious. I was finally back in the director's chair, which is my favorite place to be. I helmed the experimental pilot, WHITE ROOM: 02B3 for Roddenberry Entertainment. 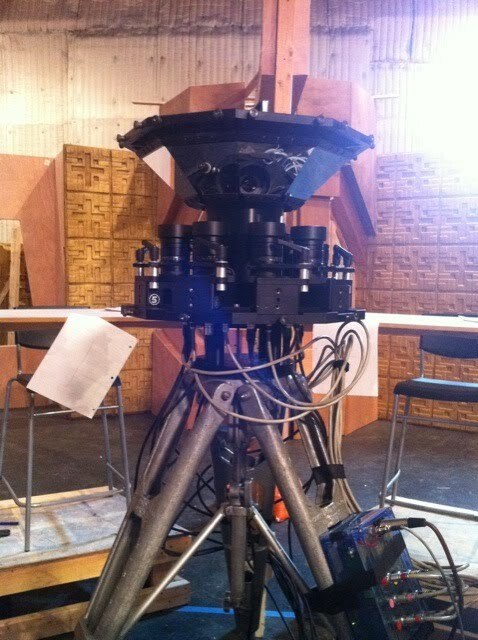 Photo 35: What made the project so unique was that we shot it in 360. This crazy Probe Droid looking device is actually an array of nine 4K cameras that shoot in sync to create a full wrap around image. One version of the film has no edits, my all star cast, including Breckin Meyer, Tamlyn Tomita, David Blue, Rachel True, Tony Janning, and Milynn Sarley, had to perform as if they were on a live stage! The project also stars...you guessed it...Mr. Doug Jones! That's number 4! Photo 36: Last year almost had the sense of working in an office, in that every project somehow included people from all of the other projects I did during the year. It made things very fun, and very easy, since everyone knew each other and how to get the most out of every day. The Geek of the Week trading card kick starter video was one of those projects. 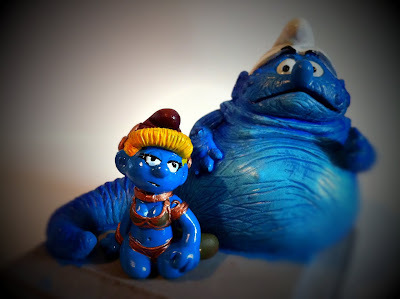 I loaned them my Jabba the Hutt, and made the shocker collars out of velcro and spray painted water bottle twist spouts! I couldn't stay for filming, but they sent me this photo. If I was going to be locked up in a house, that would be the group I'd want to be trapped with! The "original trilogy vs. prequels" argument could go on so long we would never even know we were prisoners! Photo 37: Grant may be the robot master, but I bet he never built a lady magnet like this one! I pulled an all-nighter to create this tin parody of a robot for my friend Ilya's Blue cigarette commercial. It was a love story. Pro tip: DO NOT stay up all night and then wear a metal suit all day in mid summer. Photo 38: I got to get some more Guild street cred by painting the cover for the Dark Horse Clara one-shot. I chose to show Clara's Frost Mage skills with a collection of her guildies sculpted in ice. Photo 40: I didn't get to travel too much mid year, but the few trips I made were very entertaining. I went to Wizard World Chicago, were Felicia and I premiered the trailer for Rock Jocks during a panel. I was happily surprised that people actually had a few questions for me during the Q&A. Felicia could be on a panel with the President of the United States, and people would still address all their questions to her! Photo 41: Of course, you don't need to travel much when you have friends like James Kyson Lee. He brings a world of excitement right to your home. He asked if he could film a "quick video" at the BarnYard, and the next thing I knew I had a houseful of burlesque dancers and muscle cars. 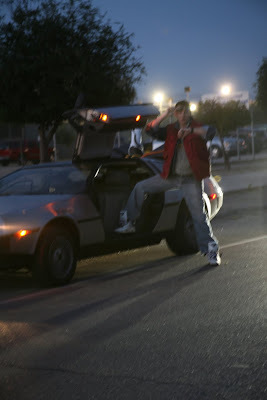 James loves my Delorean, so it still got center stage. Note Team Unicorn's life guard stand. Everything gets recycled around here! Photo 42: Like Star Wars, there were several movies that triggered my imagination as a child and helped define who I am today. Even with a Delorean, it's impossible to go back in time to be involved with them, and it is very rare that you ever get an opportunity to re-create your favorite elements from them as part of your job. 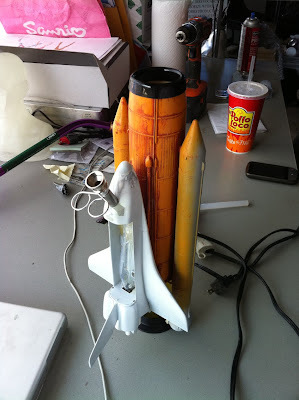 Last year, I got to bring one of my favorites back to life from scratch. 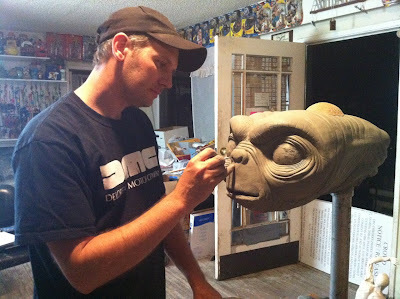 I created a full size, fully articulated E.T. for a new project that comes out this year. I can't say what it is yet, but I got permission to show my favorite extra-terrestrial. Photo 43: This was not a project, but definitely a major highlight of my year! 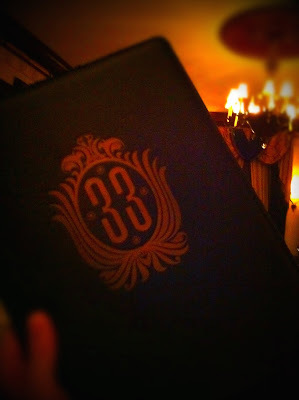 I got to have dinner at the infamous Club 33 at Disneyland. It's a members only club hidden in the middle of New Orleans Square, and all of the furnishings were personally hand picked by Walt Disney and his wife. Kim Evey, Greg Benson, Sean Becker, and myself were all guest for this once in a lifetime meal. Photo 44: Always the curse of blogging, so many projects I did last year are still in production, so I can't actually disclose any information about them. 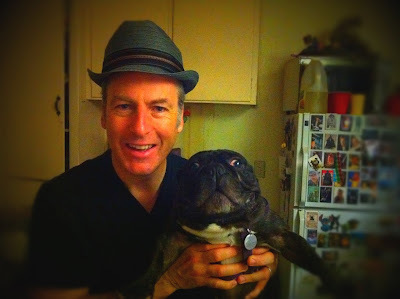 I can, however, mention that I did three pilots with one of my comedy heroes, Bob Odenkirk. What does Bob think is funny? My dog, Art! 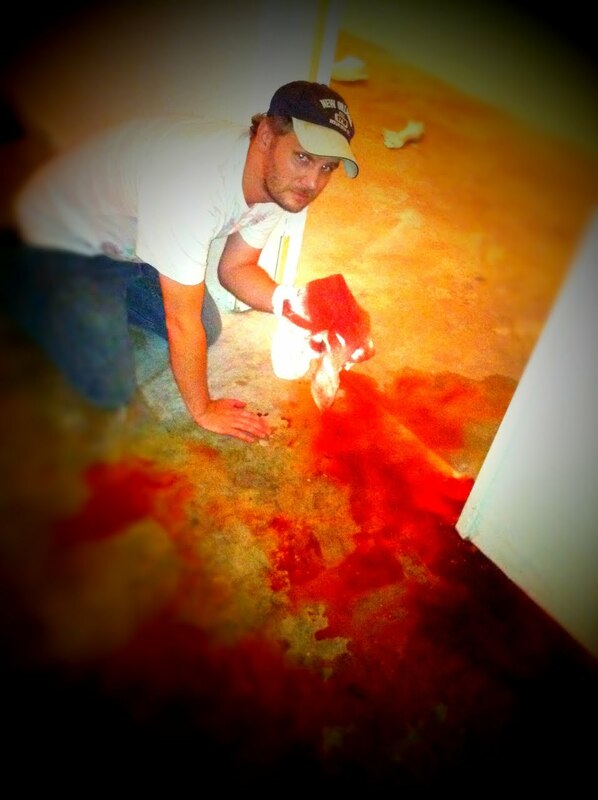 Photo 45: I'll tell you what's not funny: working on a crime reenactment show. My friend needed some help on set, and I had a few light days. Usually I can separate script from reality, but knowing that all of these scenes were 100% accurate representations of actual crimes made for a really depressing week. At one point, as the actress was screaming for help as an actor was fake stabbing her, even the director had to yell, "Please, stop. We have enough." Photo 46: On the completely opposite side of the spectrum, I took over Production Design duties for the second round of Brent Spiner's Fresh Hell. Again, I can't talk about what we did, but I can say that we made some pretty cool sets and props, and there are some amazing cameos. We shot about a third of the season at the BarnYard, so the pups got lots of celebrity attention. Photo 47: We did a few trade shows along the way, too. 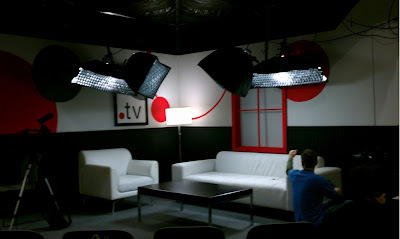 I got to work with famed photographers, the Bui Brothers, to create the .TV booth for BlogWorld. We made it like a talk show set, and the Buis filmed a live stream of the booth activity all weekend. 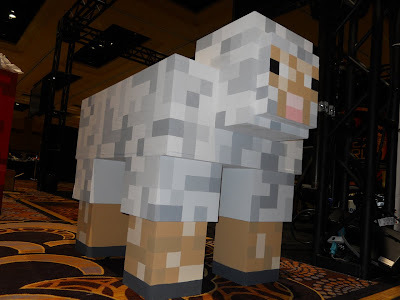 Photo 48: Vu Bui and I put our heads together a few weeks later to create a real world version of MineCraft for Mojang's Las Vegas convention to officially launch the game. We created over 40 pieces in 12 days, including a 40' EnderDragon and a photo op cave complete with a Creeper and cave spider! 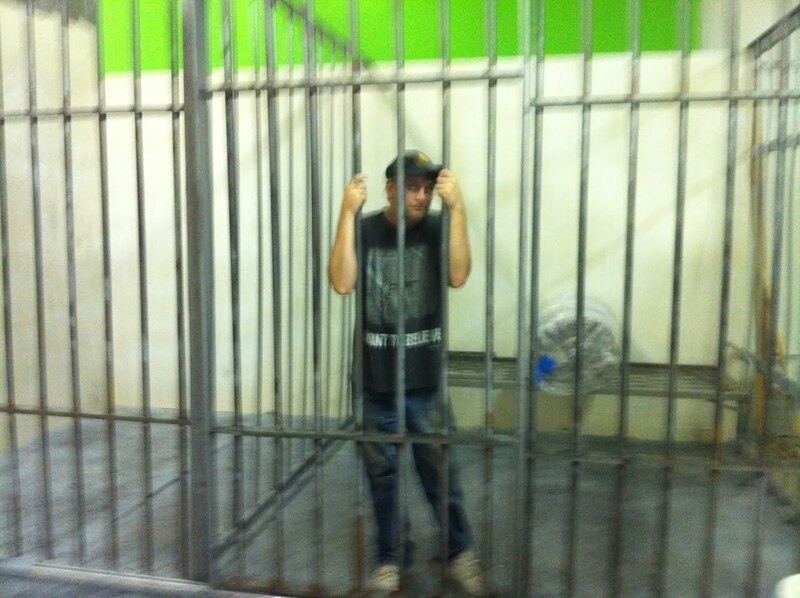 Photo 49: I'm not really in jail, but I AM at the scene of a crime! Charlie Murphy was filming a pilot for his new comedy show, and the production was having some art department trouble. A good friend of mine recommended me to take over and get everything back on track. I brought my crew and a truck load of sets and props. 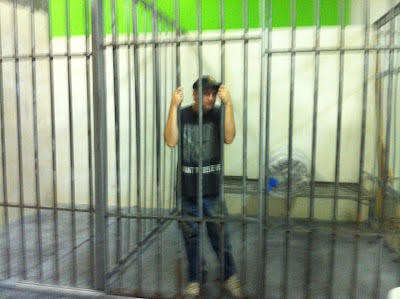 We worked around the clock to get everything on schedule for the first day of filming, building a warehouse full of sets, including this jail cell. 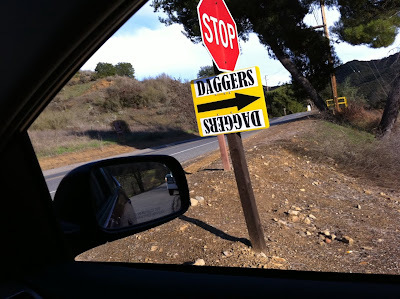 Unfortunately, the production had to shut down after the first week of filming, and before I was even notified, someone swept in and took all of my property! Photo 50: I lost tens of thousands of dollars worth of stuff, but what hurt the most is this painting of my dog, Print. Guild fans might recognize it: I painted this overnite during the season 5 shoot, after Sean Becker asked my to bring the most random painting I could think of to hang in the hotel room set. People seemed to love the painting, and I decided to make it a thing to see how many sets I could hang it in. You may catch a glimpse of it in a few others, including Husbands. Charlie loved the idea of having the painting featured in an office set, so I loaned it out. Now it is gone with the rest of my stuff. I usually don't "dish dirt" like this on my blog, but I am desperate to get this original piece of art back If anyone has any information on its whereabouts, it would mean the world to me! Photo 51: One pilot I designed that turned to a full series was The Tommy Wi-Show. With Brock LaBorde producing, Payman Benz directing, and Chris Darnell shooting, I knew this show was destined to be special. We shot the first half of the season on my soundstage, but I had another production in there for the second round, so we recreated the set at the BarnYard to shoot. Photo 52: As the year started coming to a close, hockey season started up. The LA Kings had some new people in charge, and they wanted to change things up a bit. 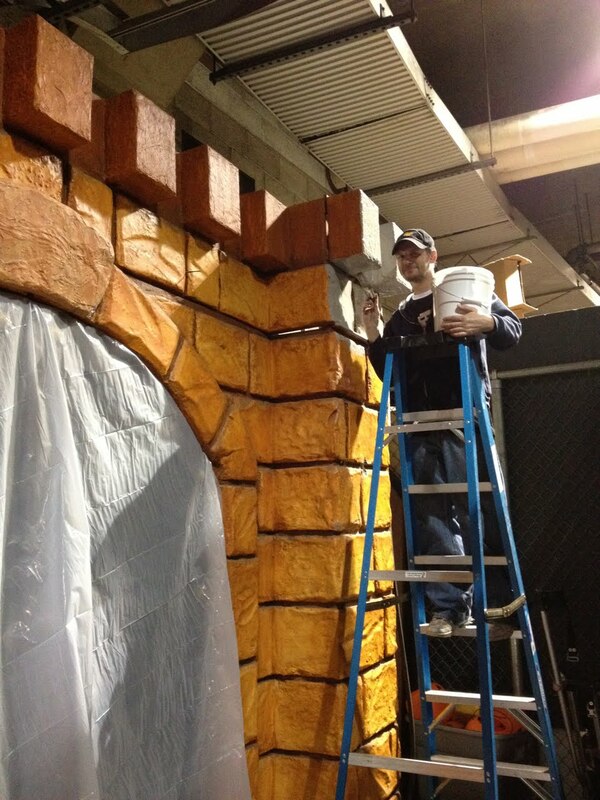 They asked me to repaint the King's Castle I made a few seasons ago to match the new jerseys. Huh, I said New Jersey. Photo 53: And finally, I closed the year with the official launch of my new collectible company, Floppets. Tiny PVC characters clasped onto velcro tethers so you can attach them anywhere you want! 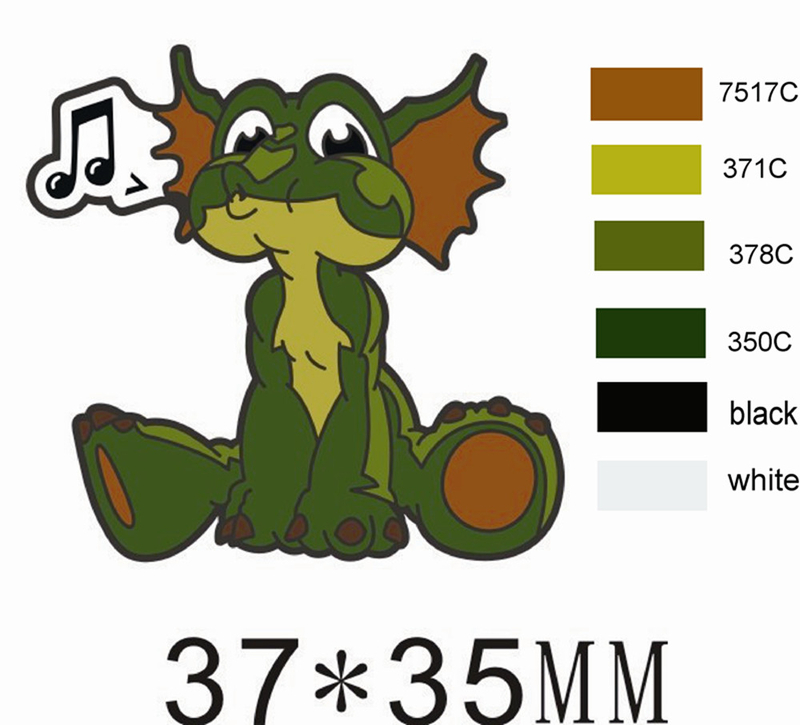 I started the venture with two dear friends, Rich and Ilyse, and we have our sights set on making our collectible pets the next big thing! Help us out and grab some for you and your friends at floppets.com! Photo 53: So that is a brief paddle through my 2011 workflow! Of course, there were several other major projects that I couldn't even hint at, but at least I will have something to blog about this year once those things go public! Although, the next few months are already booked up, so I'm not worried about new things to show you. As you can see from the above photo, we have a few "big" things in the works here at the BarnYard! 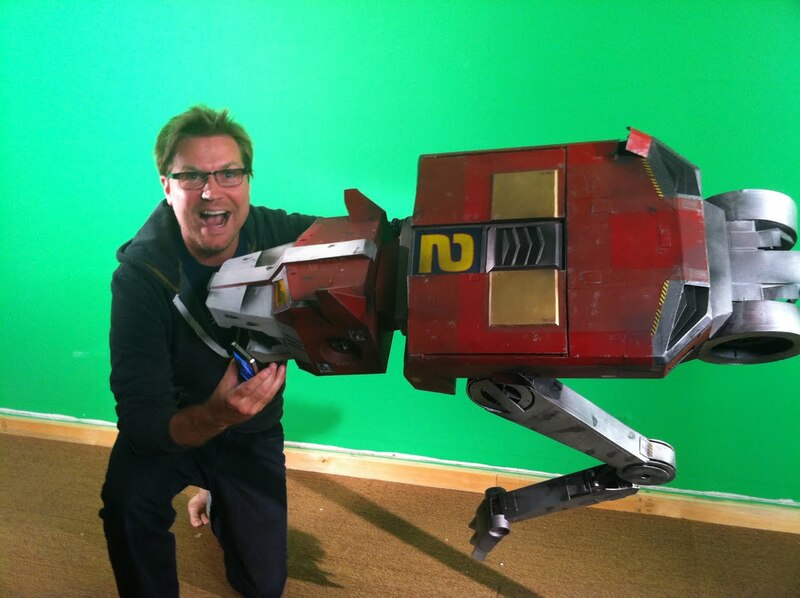 Make sure to follow me on twitter @gregaronowitz and become a member of this blog to get more posts about future projects. Or past projects! There were a bunch of things in this review that I didn't get to blog about over the course of the year. Anything you would like to see an expanded post about? Let me know in the comments below, and please tell your friends to come check out my blog!